Well, technically we had hoped to start this hike last night. We did about 7hrs of driving (from Bakersfield) and shuttling of the cars yesterday to get a car at each end of the trail. 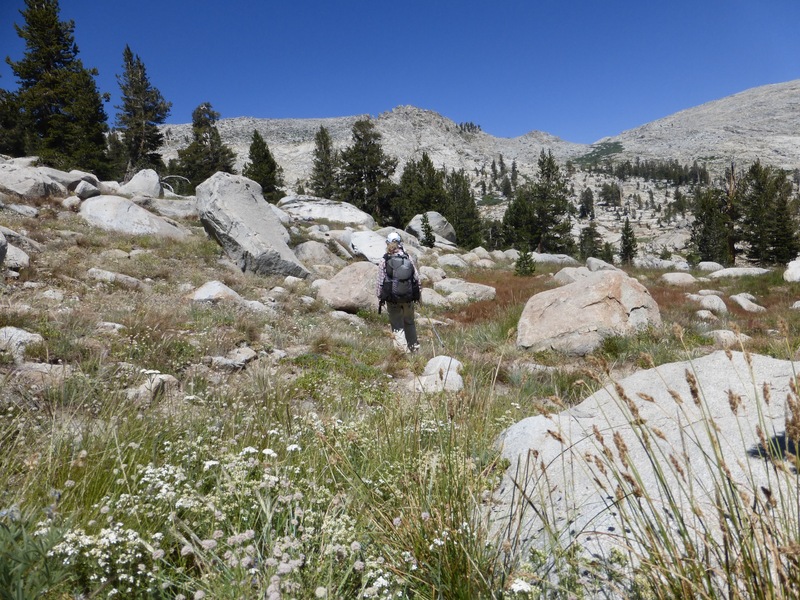 The two trailheads are just a two hour drive apart, so that is convenient. The plan was to get our reserved permit yesterday and hike in 2mi and about 800ft in elevation so E could get up a bit to acclimate. The catch was that we weren’t able to pick up the permit at the station that we parked our ending vehicle. Our names were on the list, but we had to pick up the permit at our beginning location and they were closing an hour before we’d get there, dang! Even though the ranger radioed the Lodgepole station and told us that they’d hold the permit for us at the visitor center, it didn’t happen. It was fine and we got a relaxing pre hike night! The campgrounds were booked solid, but we were able to find a man with extra space at his site (campsite #1 right by the village with the food, market, and permits!). We had dinner at the Lodgepole grill (and ice cream!) and I got to stay up late and watched 3 shows. Yep, I was a happy car camper. This morning, we were able to get our permit (at the Lodgepole ranger station) and started hiking at 8:30am. I kicked myself for not making it to get the permit last night, but it’s pretty cool how things work their way out. It turned out to be a ton better for us to do it this way and have a more relaxed start. Kings Canyon High Basin Route start photo with E at Twin Lakes trailhead. 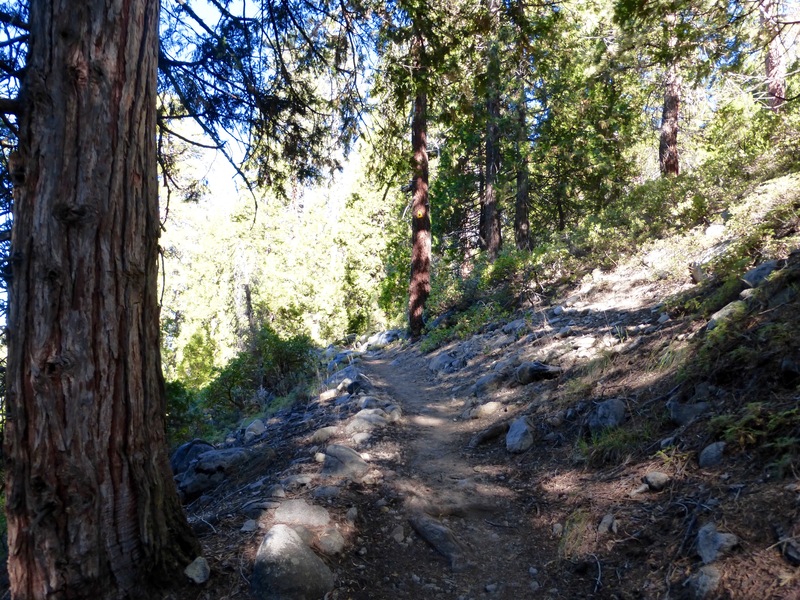 The trail we started on is a well used trail for summiting Mt Silliman. It started at 6700ft. We had a great few miles to warm up before the real climbing started. Today was almost all uphill with about 5,000ft of elevation gain over the day. We had nice gradual trail for 2mi and then a light use trail for another mile. After that, the rest of the day was off trail. We only saw two people who were heading up to do Mt Silliman. 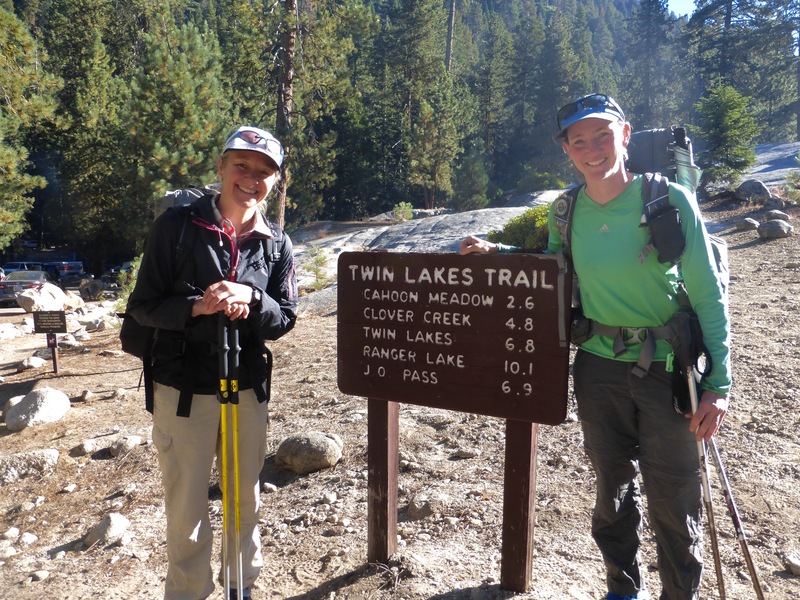 Twin Lakes Trail, great start! Light use trail heading up to Mt Silliman. The terrain was surprisingly great today. 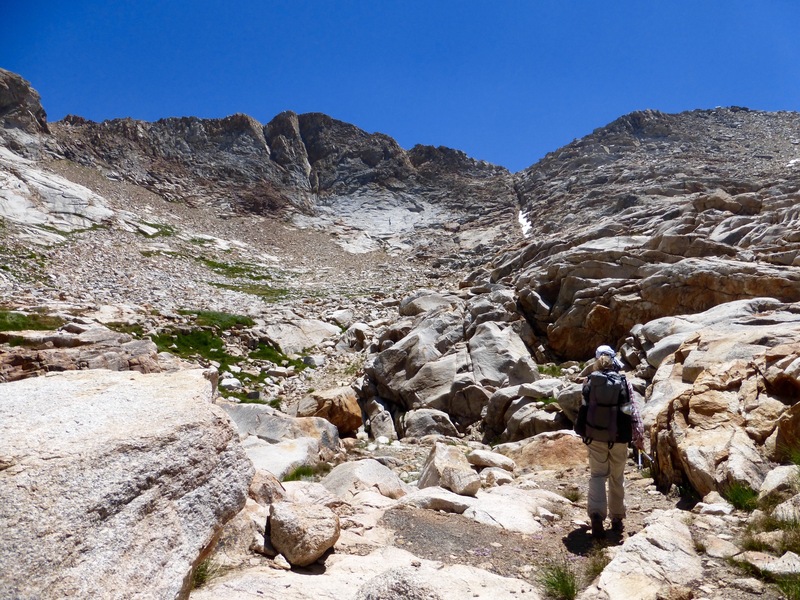 We are braced for boulders and talus (like on the Sierra High Route), but today was quite welcoming terrain that we could move through at a fair pace. Smooth granite rock on the way up towards Mt Silliman. The terrain was so great that even though we started 2.5hrs later than expected and 2mi further back than expected, we still made our conservative camp spot goal for the first day. 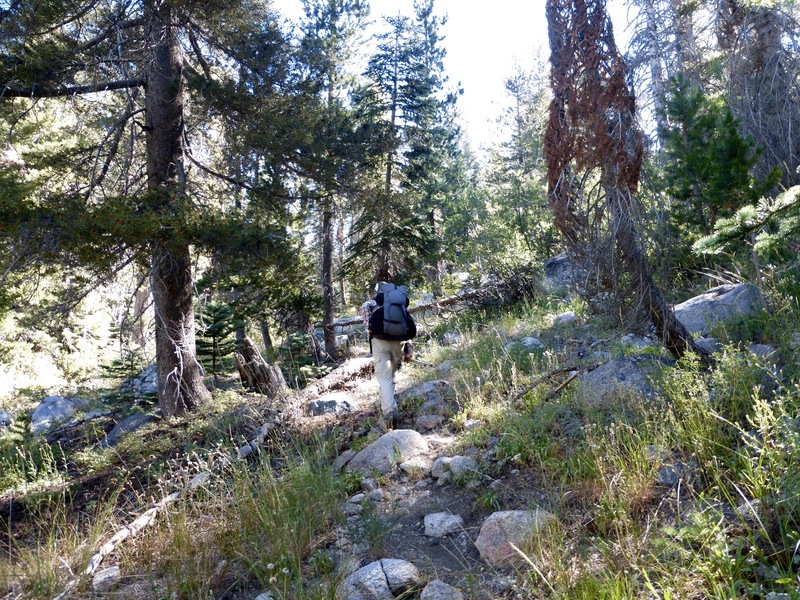 We pulled out 11mi (8 off trail) and about 5,000ft of elevation gain. Not bad for Day 1! E did this last year when she joined me for the Great Divide Trail. She is able to just jump right in like she’s been hiking all summer at high elevation. I could never do that! The route we are on doesn’t go over Mt Silliman. We needed to go up a class 2 chute. It was a fun one and when we got to the top, we had lunch and I had service to Skype my nephews and show them what I was up to. They know I hike and then come see them at the end of the summer, so it’s fun to Skype them and let them see where I am when I have service. E heading towards the chute (crack with a bit of snow in it). E coming up the chute. After the chute and lunch, it was a nice descent. 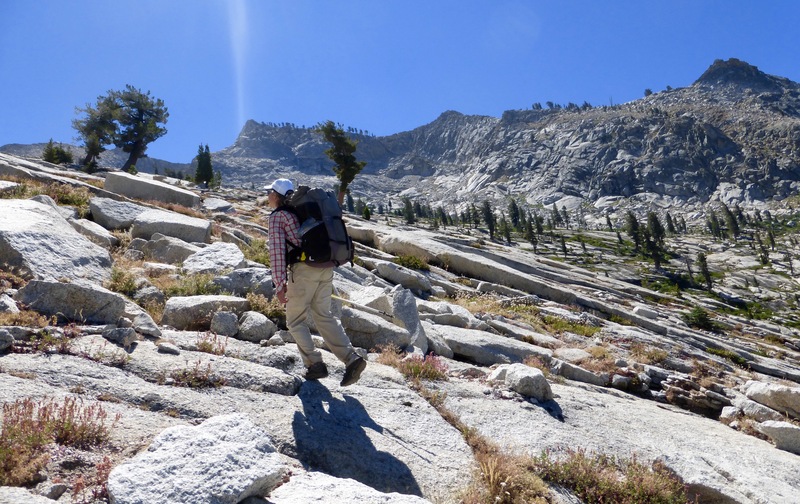 It was a great way to kick off the Kings Canyon High Basin Route and it was just the right way for E to ease into the high route. She’s done tons of this stuff and is a natural navigator, so this is right up her alley and she was right at home going cross country. A surprising amount of grass on the route today. I didn’t see much long grass on the SHR, but maybe it was just because that was early season and now things are grown out. I’m not sure. 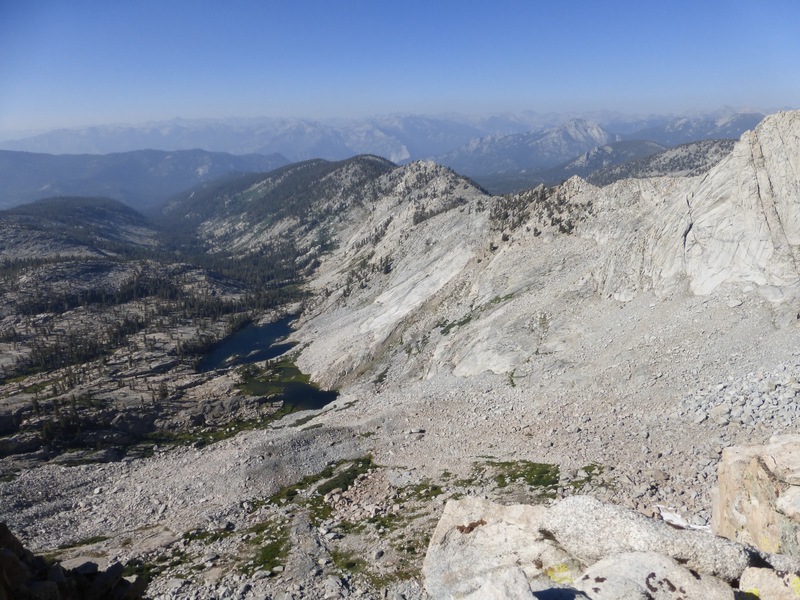 Next up was the Kings-Kaweah Divide. The goal was to stay up near the ridge and take in the views. 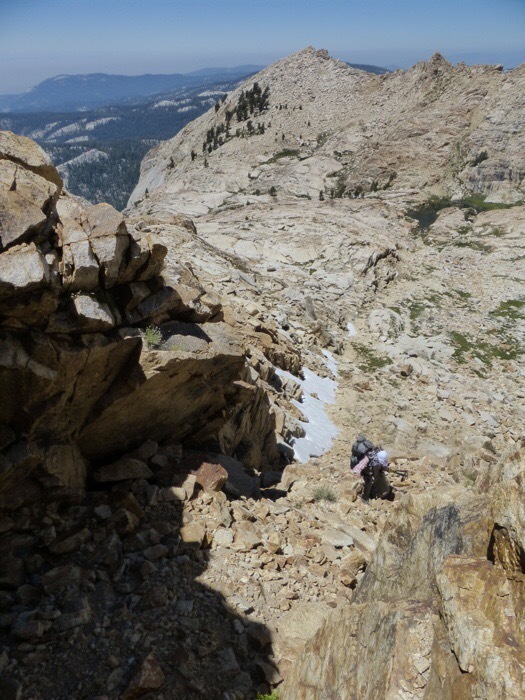 It took quite a climb to get up to the Divide, but again, the terrain was good to get a rhythm going. We were happy that we were able to do such good pacing. Hazy dinnertime view looking north. After dinner, we continued on. E likes to eat and then hike a bit and since we are in bear country, we will do that routine from time to time. We ended the day with more smooth walking on the Kings-Kawea Divide in an area known as the Tablelands. It was pretty cool to look out over it and just freely cut across. We stopped hiking around 7:30pm at a good spot that lines us up nicely for Pterodactyl Pass in the morning. Yes, a bit late, but we had already eaten dinner and we started 2.5hrs later than a usual day, so it felt right. It’s pretty cold out and my fingers are really cold. Brr! What a nice first day! Haha, it looked like a great spot to go! I wonder if I saw you. 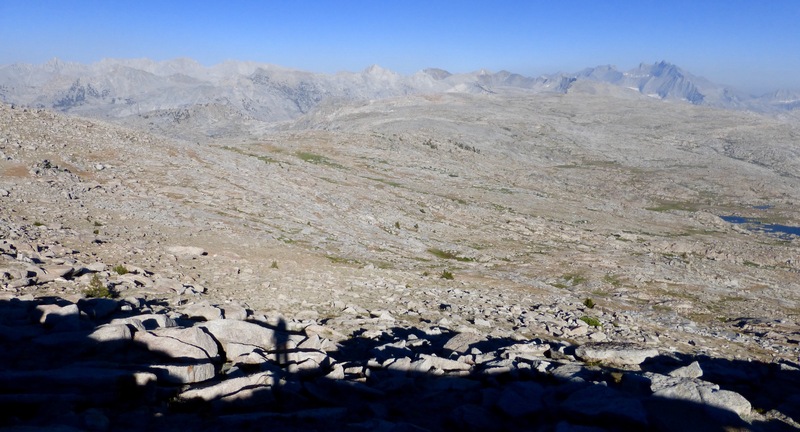 I finished up an on-trail loop that I planned starting on the High Sierra trail but continuing further north over the Kern/King divide then briefly west towards Roads End before turning south and coming out at the Lodgepole Campground. 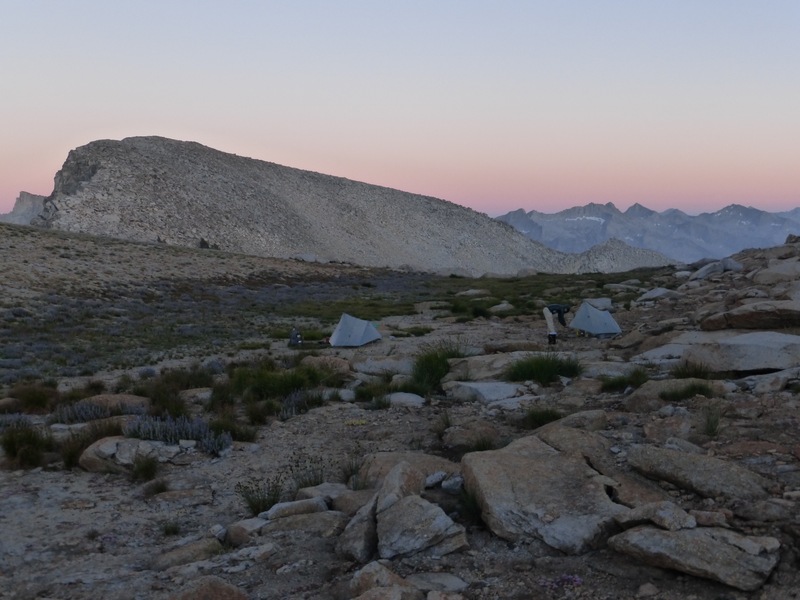 I was camped at Twin Lakes the night of September 2, and hiked out the morning of Saturday, September 3. Twin Lakes was fine, even though there were an awful lot of people camped there. Where I was camped at the side of the lake where the trail heads up to Silliman Pass (the way that I came down to the lake), I didn’t really notice all of the people camped at the lake outlet. I was certainly surprised to see all those tents the next morning when I headed out. It seems we would have missed each other as I was out of the Sierra Aug 17th this summer and headed up to Oregon right after. 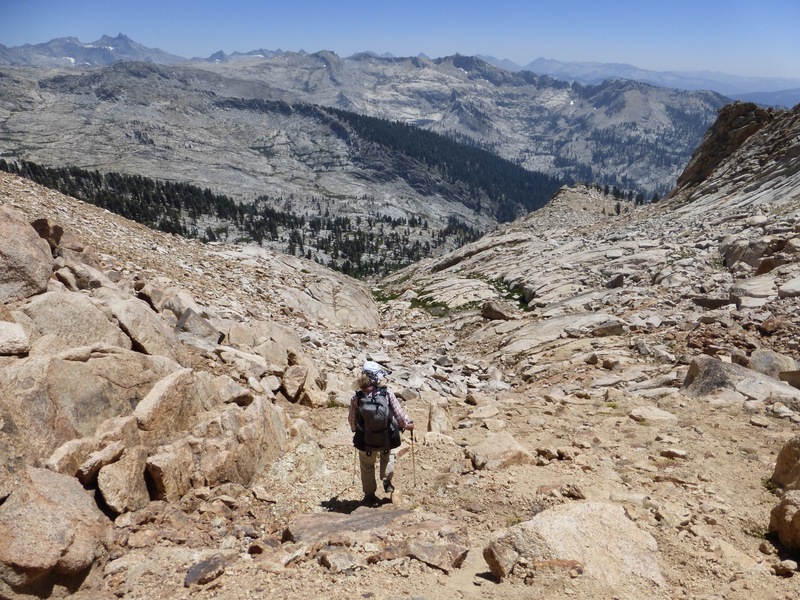 It is quite the shock how many people are at that trailhead and how much solitude is just a bit up the trail from it. Oh! That makes sense now. I just saw this in a list of comments on my end and out of context not seeing it in the thread with the others. Do you have to carry a bear cannister on this route? Yes, a bear canister is unfortunately needed to be lugged over all that stuff. I only had my half sized canister with me and an Ursack, so I ended up taking both those to fit all the food I had in something I could put outside the tent. Sooooo much rock! It looks a wonderful start to the trek. Beautiful start and country! Have a great cross-country trek. Now THIS is hiking. Grateful to be able to follow your hike. Heck yeah! I could see you getting into this Wolverine. How cold does it get at night right now? Long pants and light down jacket necessary? Just shorts okay in the day? Great, thanks for reply.Two buddies and I are doing Skurka’s Loop 1 this Saturday over 6 day. Packing up today and fine tuning my gear picks. Definitely sounds like I’ll go with Zpacks 20f bag. I’ll wear running shorts and long sleeve light merino top, but bring a light down jacket and trekking pants. We’ve done two courses with Skurka, he’s was a great teacher and this is our first high route trip on our own. Looking forward to it!